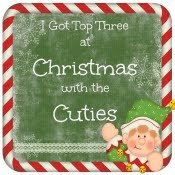 I'm popping by today to share with you a make using 1 of the 5 love themed paper downloads by the lovely Anice. There are posts everyday in February by the talented funkettes. 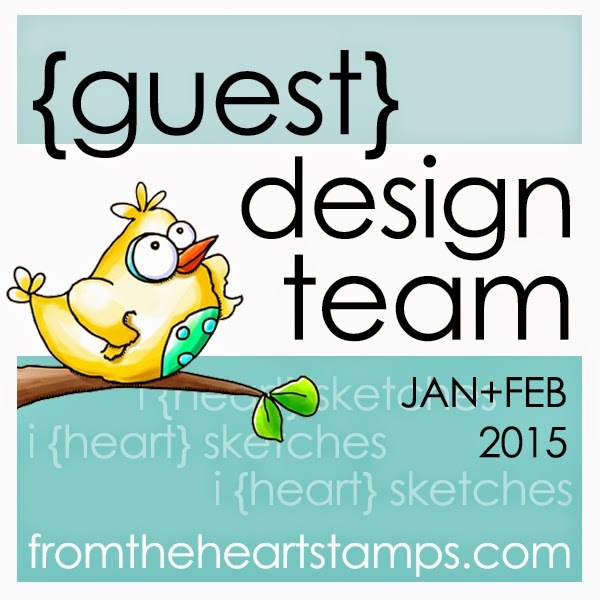 So why not go to our Funkyhand inspiration blog called Get Funky and Craft. I chose to use the Love Love Love paper collection. This is 1 of my favourite collections as it's not just for a love themed project. All of the Funkyhand digital papercraft downloads always have several sheets that you can use for any occasion, which makes them so versatile. 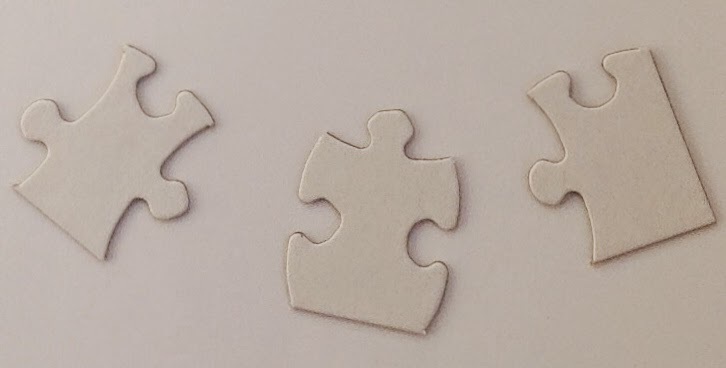 On Pinterest I saw a card that used jigsaw pieces on a card and remembered that I'd been bought some blank little jigsaw pieces for stamping on a few years ago by my hubby, so I decided to draw around them and cut them out of these yummy papers. I really enjoyed playing with these papers again. 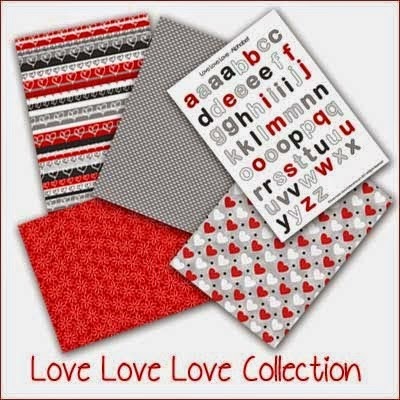 Remember that all these Love downloads papers are available for a special price of £1, fab value. Gosh it's been a busy week with DT posts and trying to keep up to date. Hope you're all well and thank you so much for visiting me and leaving lovely comments. 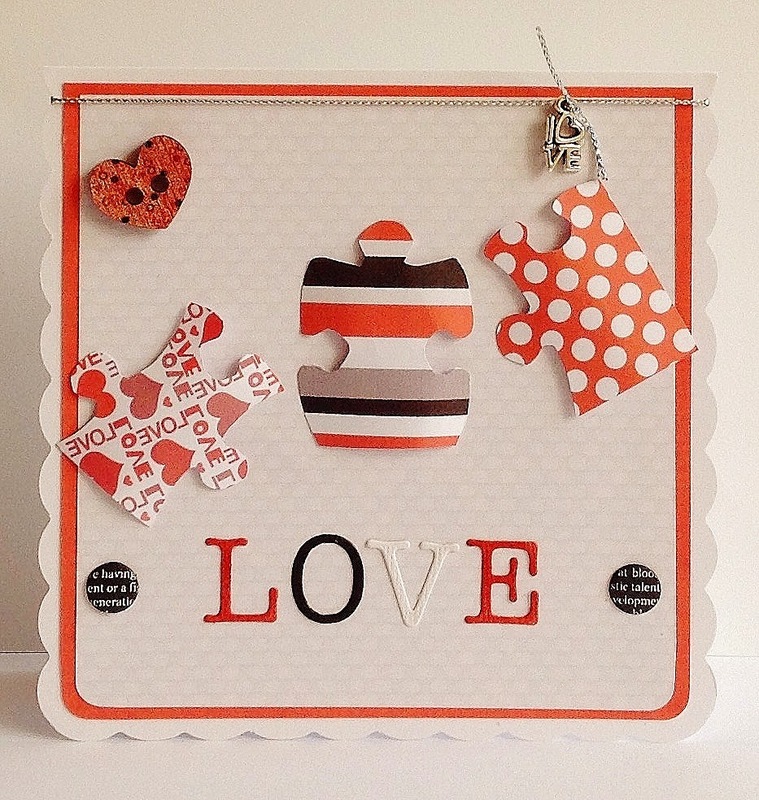 Love it hun....great idea with the jigsaw pieces! Nice card! Thanks for joining us at Dream Valley. Beautiful and so Sweet. Thank you so much for playing us at Crafting for all Seasons. A little bit of spring!!! !